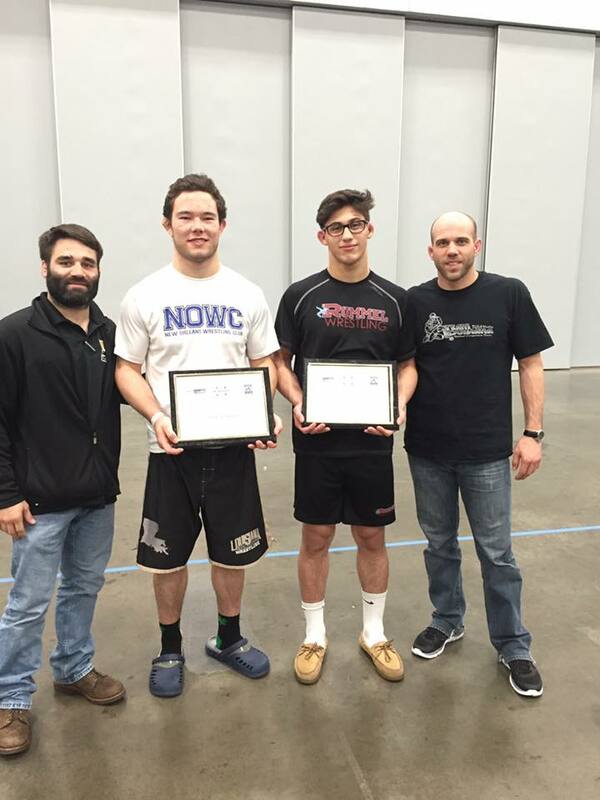 Two groups of Louisiana wrestlers came home with All-American Honors from Virginia and Iowa this weekend. 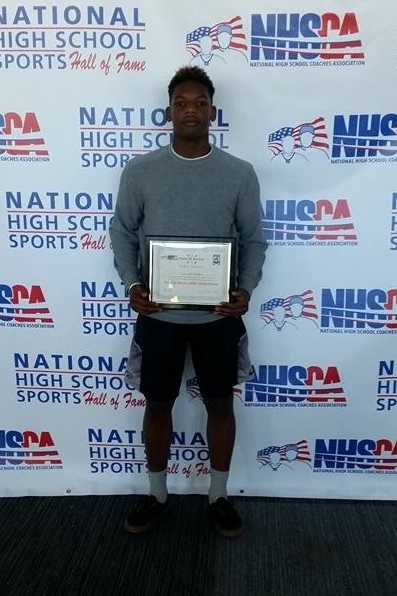 Coaches Sheridan Moran of Jesuit, Jon Orillion of Rummel, John Walden of Airline and Glenn Bernard of Comeaux each had one All-American at the National High School Coaches Association Nations held from Friday through Sunday in Virginia Beach, Virginia. . 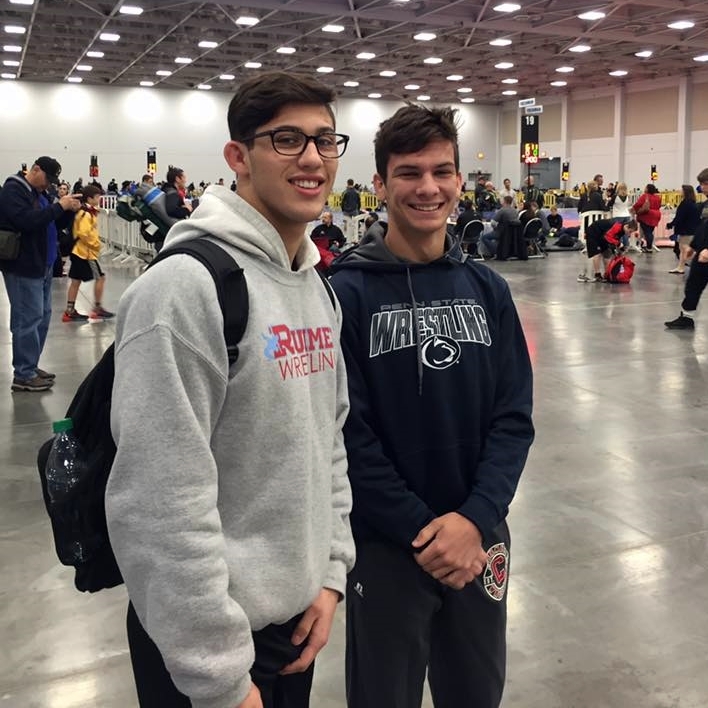 Guy Patron, Jr. of Jesuit placed fifth, Rummel's Josh Ramirez sixth and Airline's Christian Walden placed eighth. All three won LHSAA state championships last February in Bossier City. 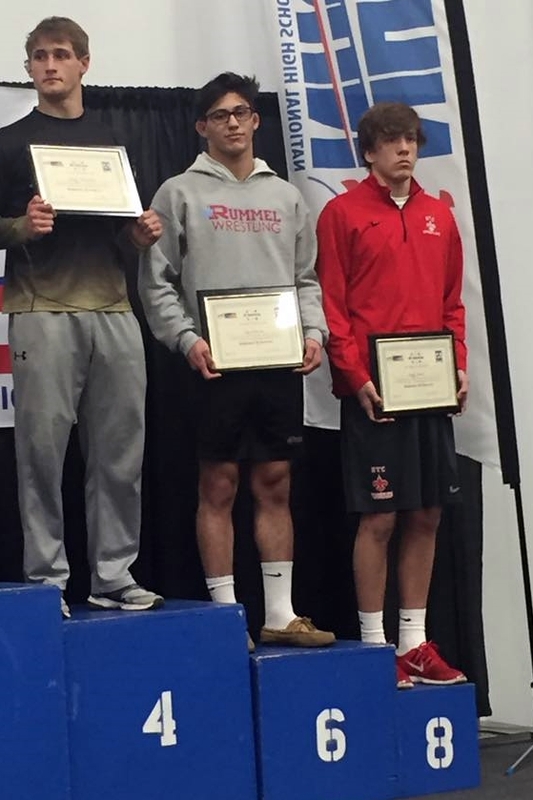 Jesuit's Guy Patron, Jr., Airline's Christian Walden and Rummel's Josh Ramirez earned All-American honors in the high school division, which was separated by grades. 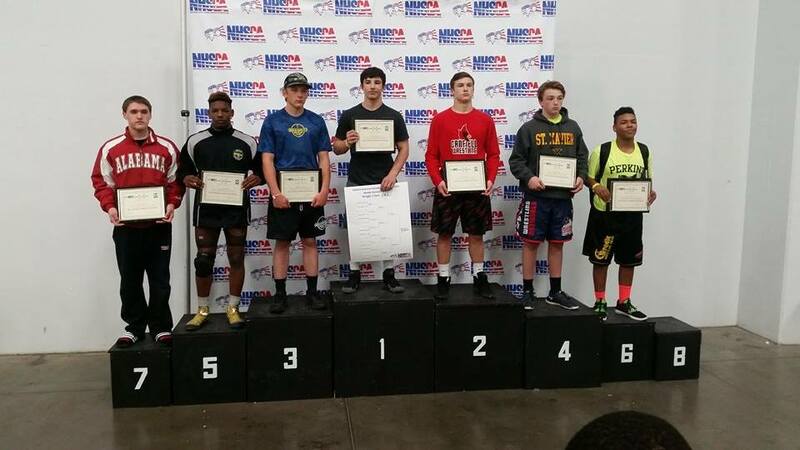 In the middle school event, Jeremiah Brooks of the Lafayette Scrappers also earned All-American status with a fifth-place finish. Attending the event was former Jesuit coach Mark Strickland, who coached Orillion in high school. Patron, Jr. (three photos below, third with Jesuit coach Sheridan Moran) won his first four matches in the Seniors 195 lbs. 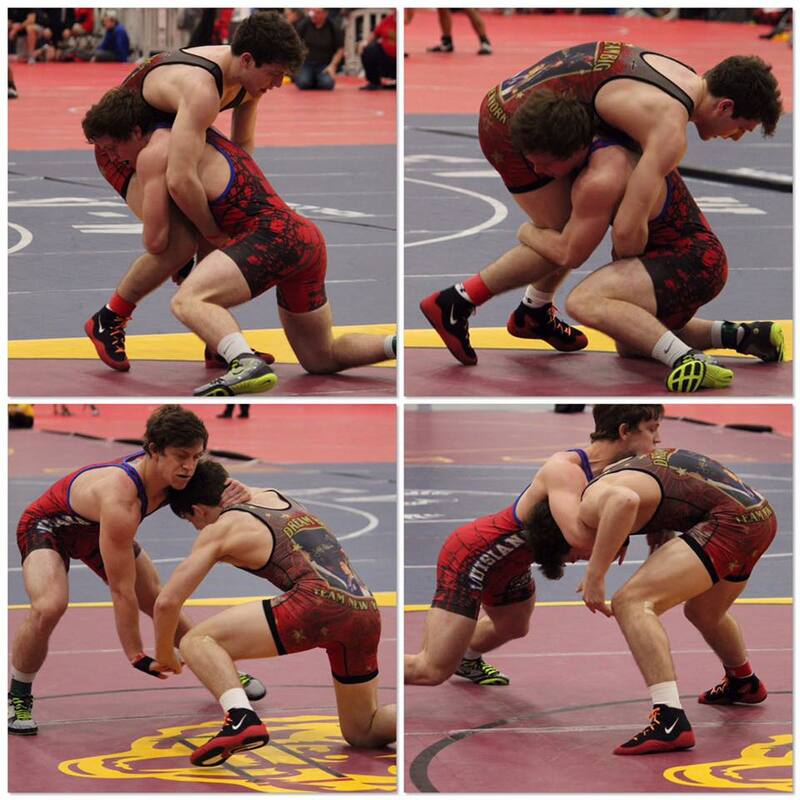 weight class before falling in the semifinals to Jay Aiello of Virginia. In the consolation semifinals Patron lost to Minnesota's Nicholas May in a 3-1 Sudden Victory match. 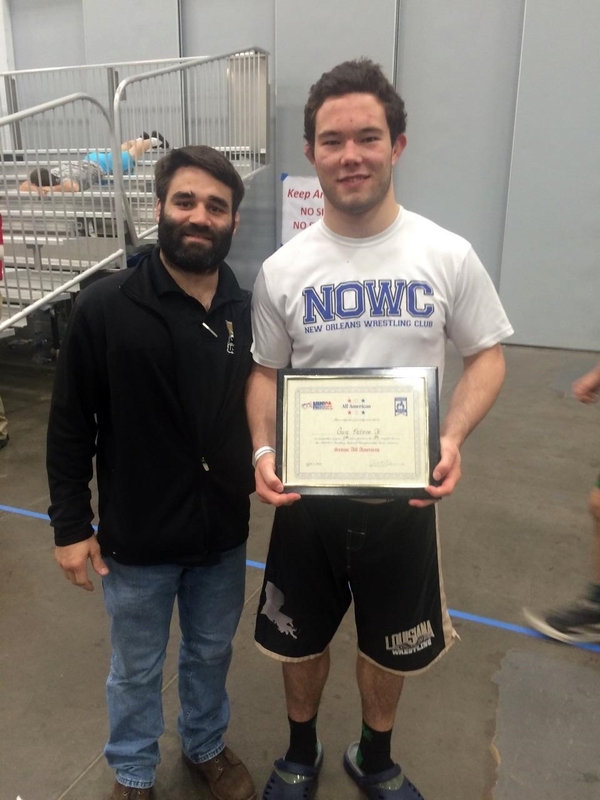 Patron was awarded fifth place when Florida's Ryan Thomas forfeited. 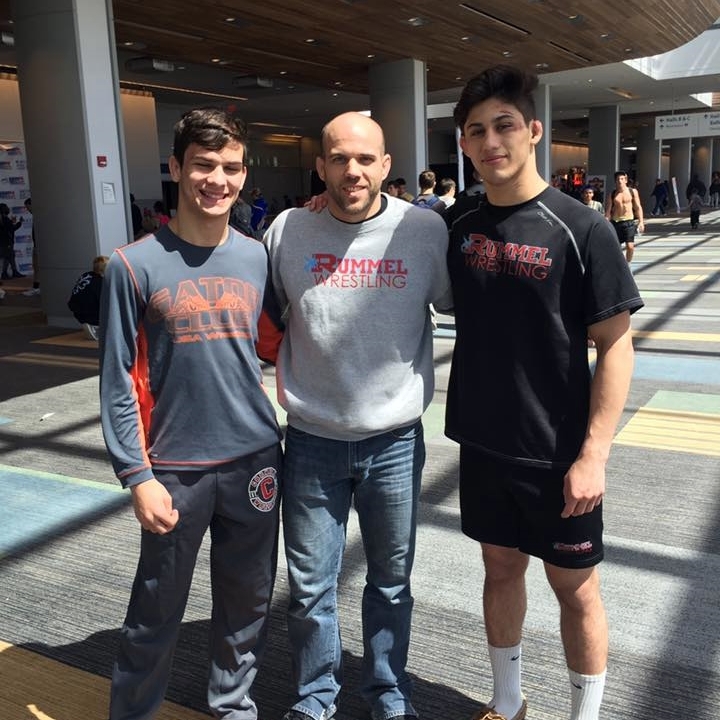 In the Juniors 152 lbs. 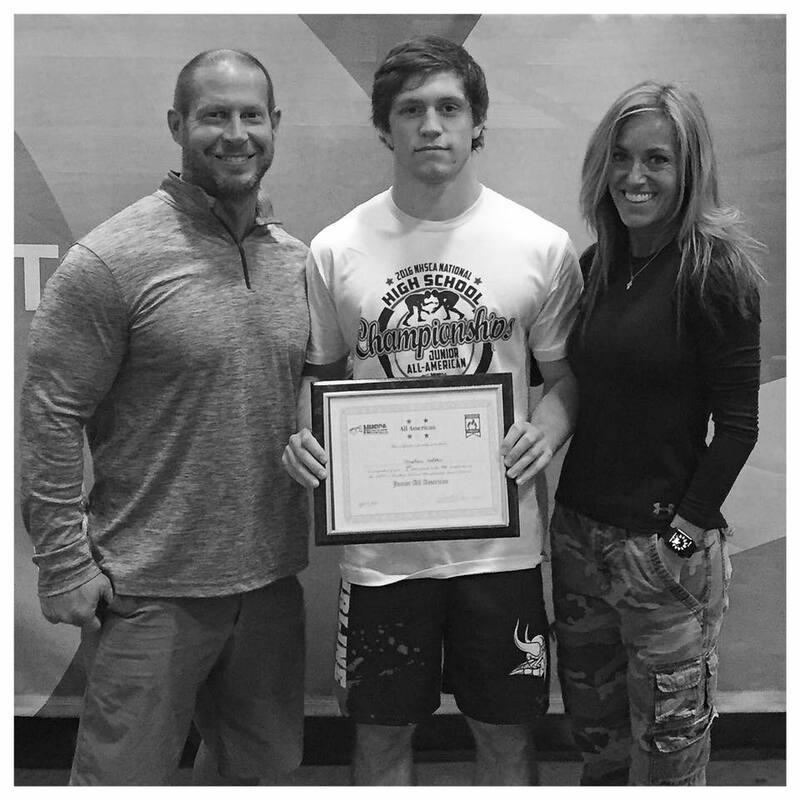 weight class, Airline's Christian Walden (four photos below, third with parents John and Stacy) ran off four consolation matches in a row to make Sunday's consolation semifinals. Walden lost that match and faced Skitch Light of Pennsylvania. 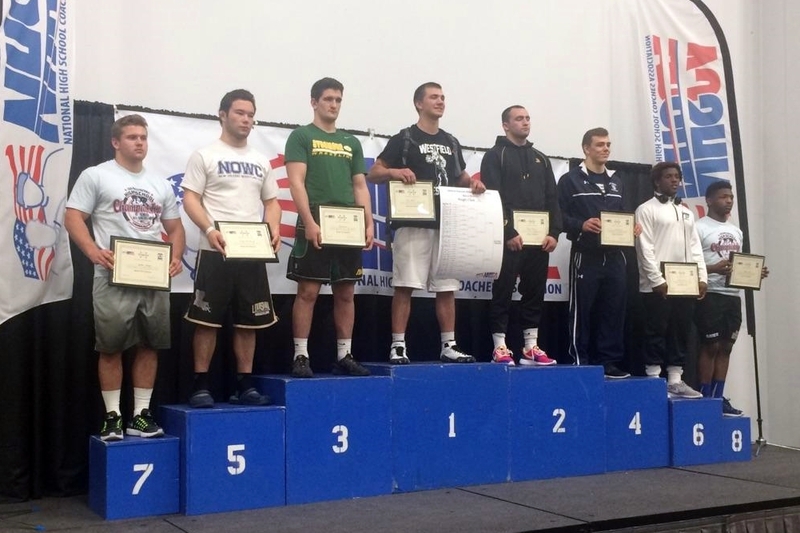 Walden lost a close 7-6 affair but nevertheless placed eighth in a bracket with 88 competitors. In the Sophomore 170 lbs. 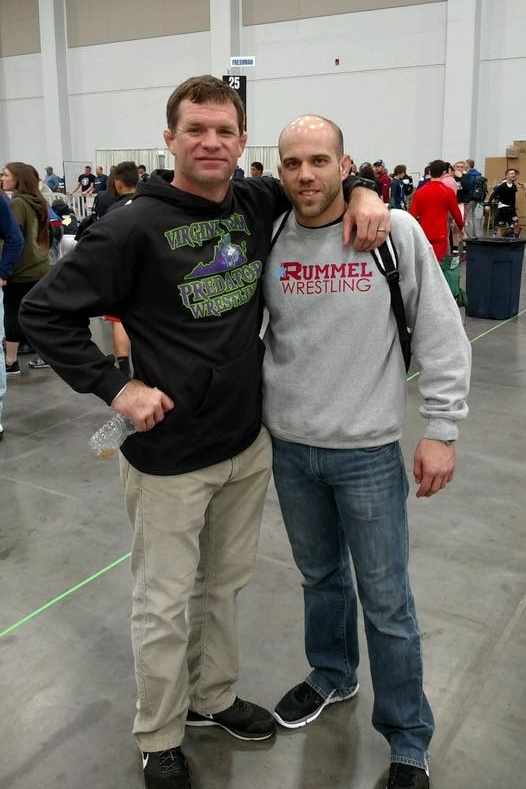 weight class, Rummel's Josh Ramirez (three photos below, third with Rummel coach Jon Orillion) lost his first match on Friday to finalist Noah Niles of New Jersey, but then won his next five matches to reach Sunday's consolation semifinals. Ramirez lost to Georgia's Chase Forrester in a 14-11 match. Ramirez lost to Niles again to place sixth. 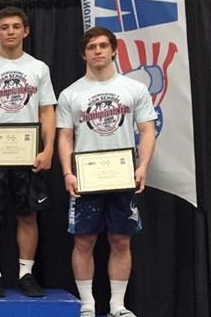 Jeremiah Brooks of the Lafayette Scrappers, the 2015 USAW Schoolboy 160 lbs. 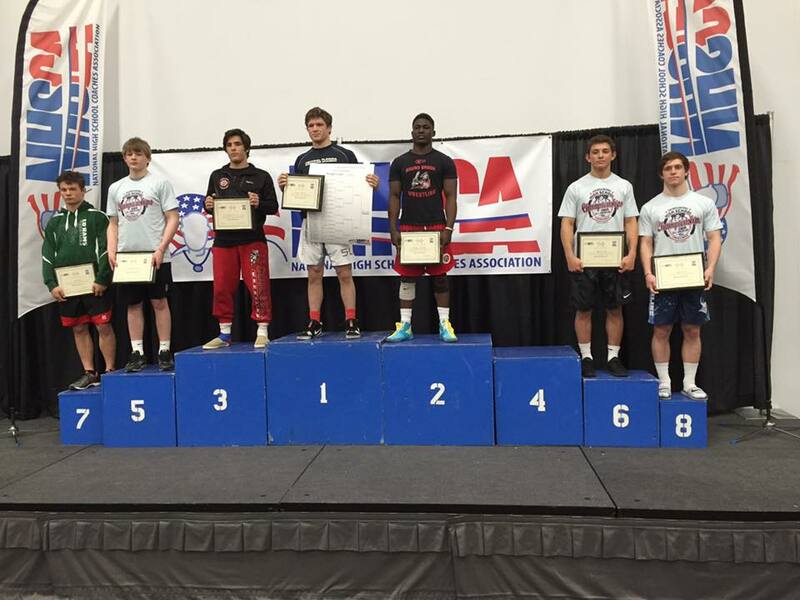 Louisiana Kids Folkstyle state champion, went 2-2 to place fifth in the Middle School 165 lbs. weight class. 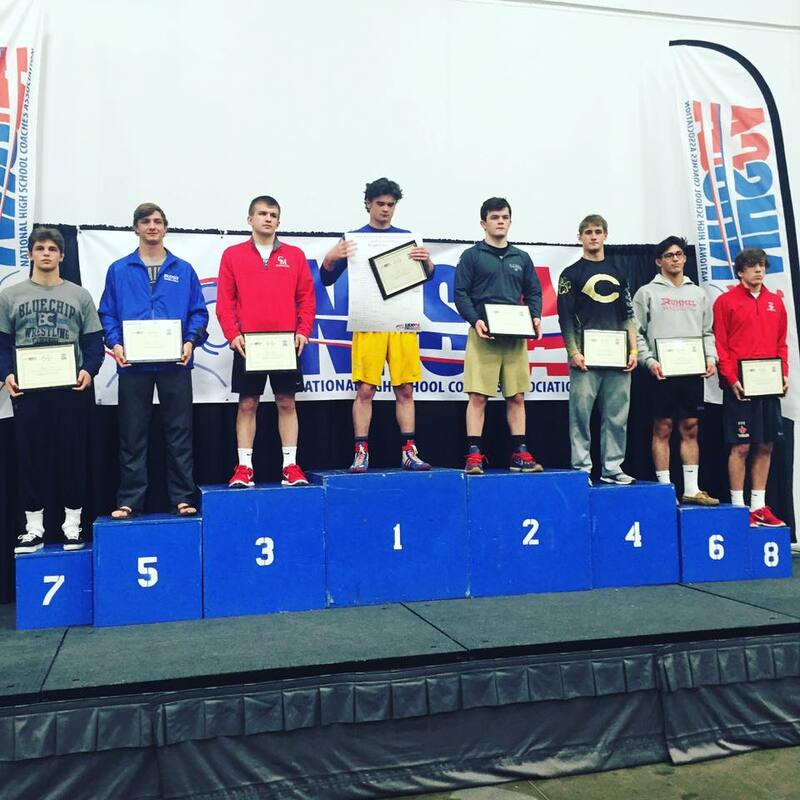 Corey Brownell of the St. Amant Wrestling Club in St. Amant, competed in the 85 lbs. Middle School division. 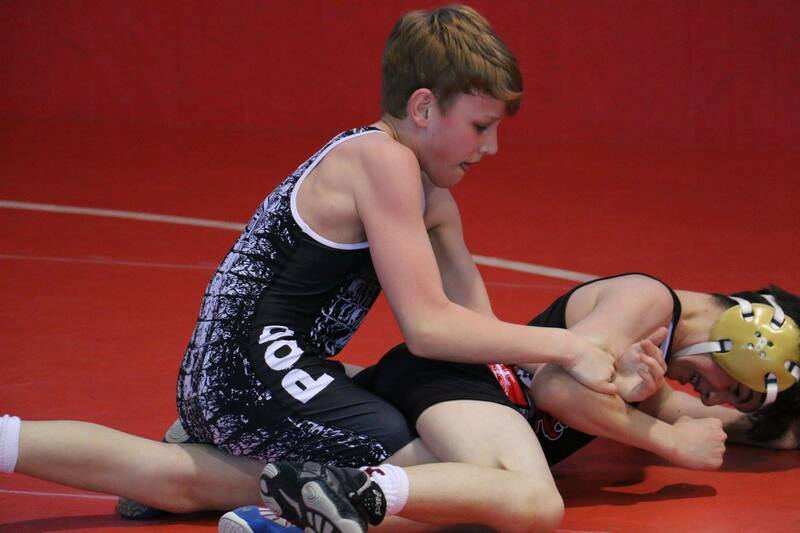 Brownell tied for fifth-place at the recent USAW Louisiana Kids Folkstyle State Championships in Baton Rouge in the 91 lbs. Schoolboy division. Brownell had a tough turnament but the experience gained participating on the national level should prove invaluable later. 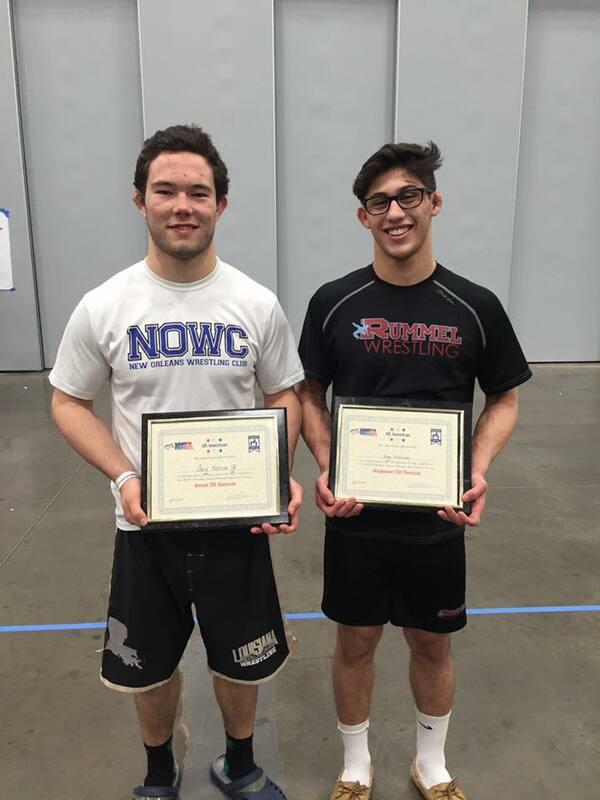 Three of the younger Louisiana wrestlers earned All-American status at the USAW/Cliff Keen Nationals held Friday through Sunday in Cedar Rapids, Iowa. 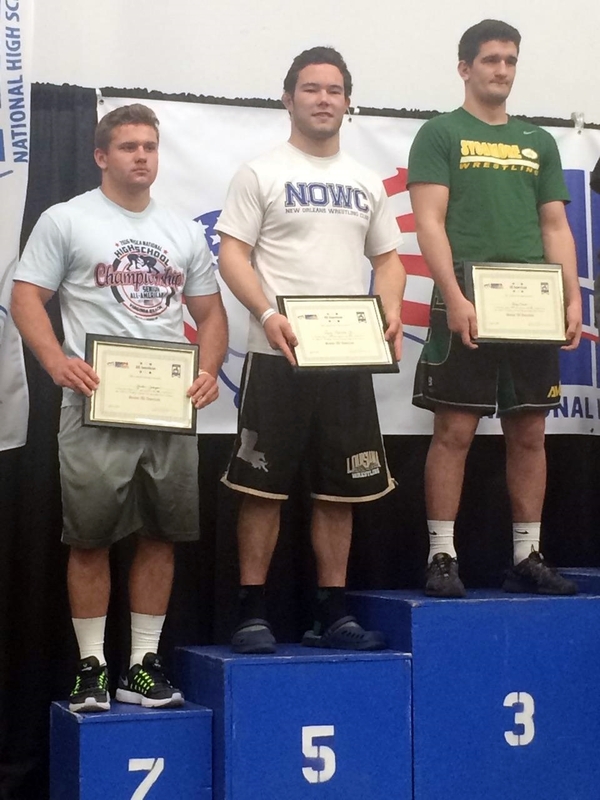 With a fall in 0:35, Nicholas DiGerolamo placed fifth in the Intermediate 87 lbs. weight class. Landon Smith placed sixth in the Intermediate 55 lbs. weight class and Richie Clement placed eighth in the Intermediate 60 lbs. weight class. 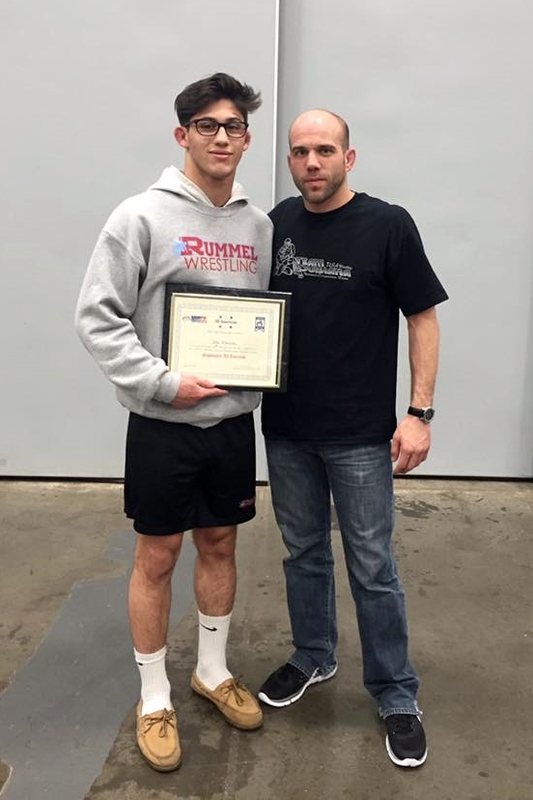 On Saturday, Holy Cross's Jake Rando was the runner-up in the Junior 145 lbs. weight class.